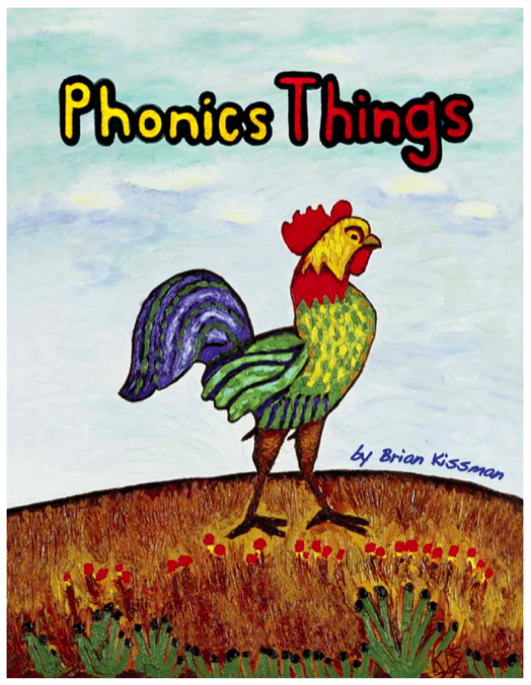 Bonus: Receive a Free Phonics Things eBook download with purchase of the hardcopy! Phonics Things is an innovative, engaging and entertaining literacy and learning method for preschoolers, elementary school students, and beyond, aimed at learning to read and closing the achievement gap by providing guidance and tools that make teaching easy for parents and teachers, and learning fun for students. The focus of Phonics Things is “learning to read”. 208 Pages. 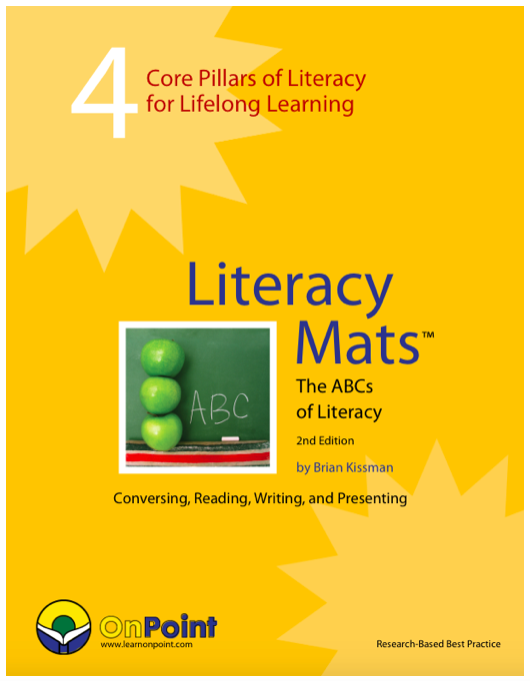 Bonus: Receive a Free Literacy Mats eBook download with purchase of the hardcopy! Literacy Mats is an innovative and easy-to-implement teaching tool for educators and parents, and an engaging learning tool for students from grade 2 through 12 and beyond that focuses on developing the language arts (reading, writing, conversation, and presentation) as key skills to lifelong learning. 210 pages. The Six Basic Syllable Spelling Patterns mini poster set presents the foundation for word study. Knowing, understanding, and applying the Six Basic Syllable Patterns of the English language, students become thinking spellers (decoding and encoding) rather than memorizing spellers. 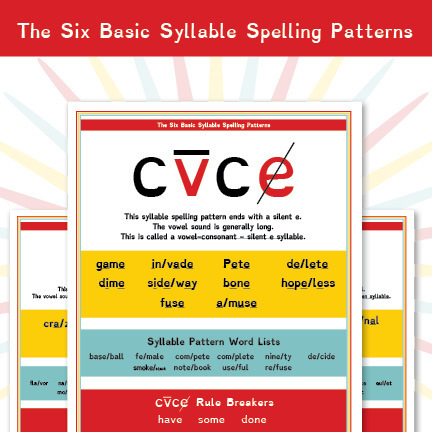 Each of the mini posters presents one of the Basic Six Syllable Patterns with a definition, a list of words that fit the pattern, and "rule breakers" for each pattern. This is the approach to word study used by spelling bee competitors. Coach your students to hear and see syllable patterns and know that every syllable has "one and only one vowel sound." (Of course, the exception being the consonant +le syllable.) 6-sheets. 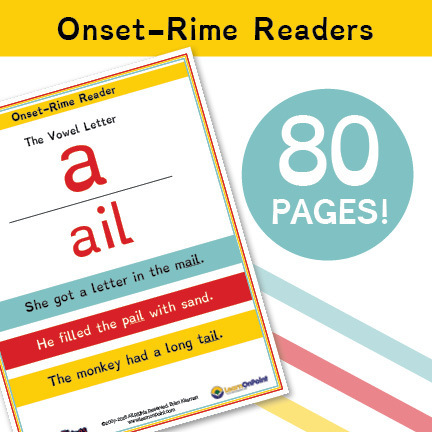 It's "Phonics 101" with these onset-rime mini poster readers. Students gain phonological and phonemic awareness through these word lists and playful sentences. 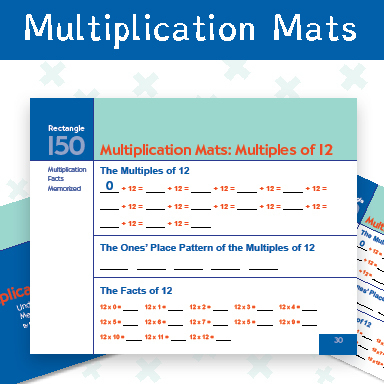 This set of posters is a very effective supplement to any word study / reading program. Students learn to apply basic spelling patterns to decode and encode. 80 Pages. 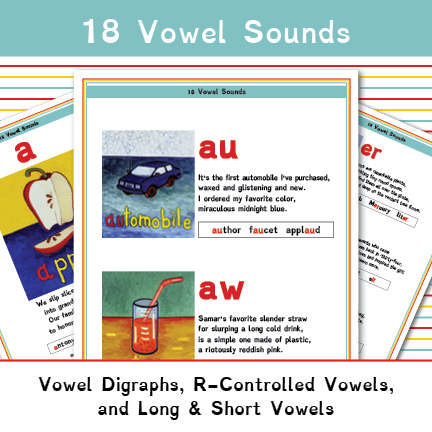 The English Language as 18 basic vowels sounds (23 spellings) - 5 short vowels, 5 long long vowels, 8 vowel digraphs, and 5 r-controlled vowels. Each of these mini posters are highly effective learning supplements with their own hand-painted illustrations, a short poem, and word examples. Strengthen your word study and reading program with these indelible and impactful mini-posters. 18 Pages.